Welcome to the eighth – and final – week of recordings from the Dyalog User Meeting in Belfast! I’d like to take this opportunity to thank all the speakers who helped make Dyalog ’18 another valuable experience! Fittingly, we’re wrapping up with a larger, and even more varied collection than usual: two talks by members of the Dyalog team, two by users of Dyalog APL, and one from the British APL Association – five in total! 1. There are big changes afoot at the British APL Association and Paul Grosvenor, the chairman of the BAA, took to the stage in Belfast to tell us about them. Most importantly, the Vector magazine is going online after 25 years as a printed publication – and the removal of printing costs means that membership is now free! An annual conference in April/May is being planned. There has never been a better time to join the BAA, and you don’t need to live in the UK to do so! In addition to watching Paul’s talk, you can read about many of the changes here and on the new vector website (coming soon!). 2. Arianna Francia from SimCorp Italiana works in one of the largest APL development teams in the world. IFRS 9 is an International Financial Reporting Standard (IFRS) promulgated by the International Accounting Standards Board (IASB). Fortunately, although Arianna’s talk is titled “The IFRS 9 Project”, she completely avoids the subject of IFRS, and instead offers valuable insights into how a rapidly growing team, faced with an extraordinarily complex project, adapted and adopted a combination of agile practices and ideas from Ed Catmull’s book Creativity, Inc, which is about his experience managing Pixar. 3. For many Dyalog users, the least attractive aspect of Dyalog’s MiServer as a tool for cross-platform user interfaces is that it comes with a completely new set of controls or “widgets”, which essentially means you will need to rewrite your ⎕WC-based user interface. If you are facing this problem, Chris and Michael Hughes have very good news for you: in their talk “⎕WC on the Web”, they demonstrate a new tool that emulates ⎕WC, allowing you to create your UI in a web browser or the HTMLRenderer component included with recent versions of Dyalog APL. 4. Nested arrays make it easy – sometimes, too easy – to represent tables as 2-dimensional arrays. However, if each column of a matrix has the same data type, there are very significant savings to be had in both space and time if you “invert” such tables and represent them as a list of vectors, each containing the values for one column. In his talk on “Inverted Tables”, Roger Hui evolves a set of short, elegant and efficient functions for common operations on inverted tables. 5. It appears that the APL community came very close to losing John Scholes after he read the September 1989 edition of British Computer Journal special edition on Lazy Functional Languages and was struck by the beauty of functional programming. Fortunately, John decided to work on functional extensions to APL, and came up with dfns. This new notation was added to APL in 1996, only six years after Haskell 1.0 appeared. In his talk entitled “dfns, past present and future”, John revisits the early days and muses about things that could have been done differently, but quickly moves on to talk about ideas for future extensions to dfns, like guarded guards, where clauses, and optional type specifications. I hope that you enjoy watching your choice of recordings as I have enjoyed revisiting them in order to write about them. As you may have noticed, we have taken a break from webinars while we have been rolling the Dyalog’18 recordings out. Now that we’re done, remember to set time aside at 16:00 (U.K. time) on the 3rd Thursday of each Month to follow the webinar series. The next webinar will be on Thursday February 21st: a presentation by our CTO Jay Foad, on his adventures as a participant in the Advent of Code programming competition, which was held in December. Our stated goal has been to provide variety each week, and I’m happy to say that I have not been able to find any kind of theme in this penultimate set of presentations from Dyalog’18 in Belfast. Although the three technologies presented are all very useful, that is the only thing that they seem to have in common! FlipDB is a relational database management system that was designed to solve complex data problems from the mortgage and asset finance business, but has grown into a general-purpose toolkit for working with tables. As Paul Mansour writes on the FlipDB web page, mortgages push the limits of many systems due to the quantity of data items, variety of products, constant innovation, and a never-ending stream of file formats and standards. 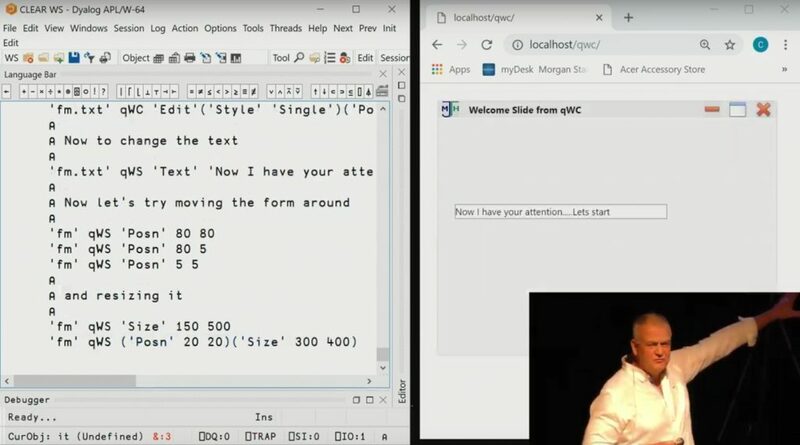 Answering his own question, “What is wrong with SQL?”, Paul shows how easy it is to solve a number of programming puzzles from the Alteryx Weekly Challenge web site using the combination of array and object-orientation available in FlipDB. Just think about how difficult it would have been to do the same with SQL! 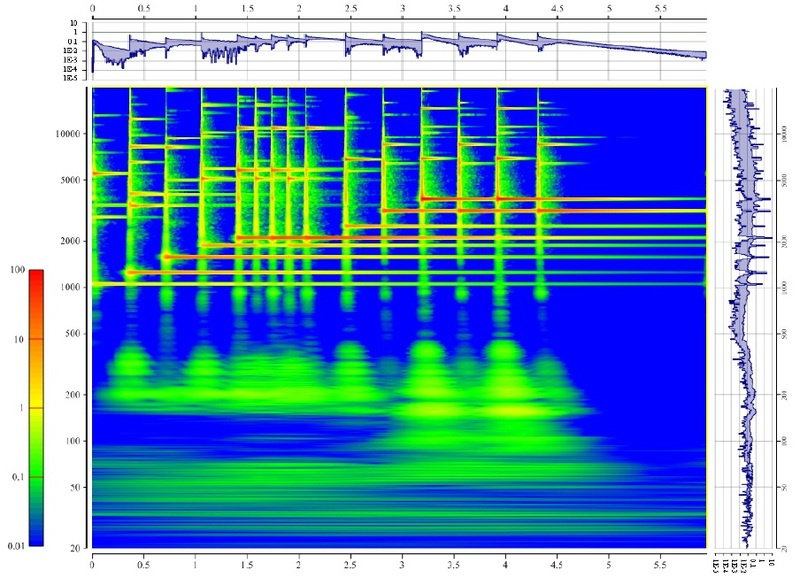 Co-dfns is a PhD project at Indiana University, executed by Aaron Hsu and partly funded by Dyalog Ltd. The aim is to build a concurrent compiler for dfns. Aaron regularly presents progress reports at Dyalog user meetings. This year, his focus has shifted to wrapping up demonstrations of completeness and other reporting required to finish his thesis – this will describe his compiler, which is designed to self-host on Data Parallel hardware. Who could have thought that analysing a lexically-scoped, dynamic, language could be so interesting (at least if you want the compiled code to run fast)? A Jupyter Notebook is a formatted document containing live code, equations, visualizations and narrative text. 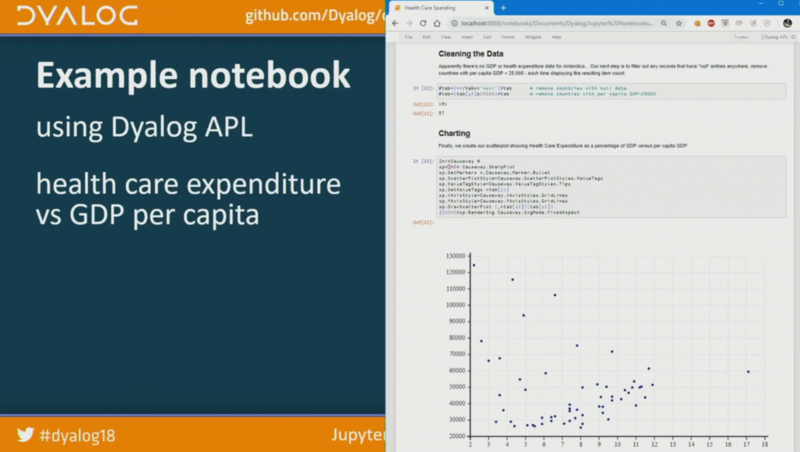 As Adám Brudzewsky explains in his talk, Jupyter is an open framework that supports “language kernels” for many languages, including Dyalog APL. In other words, a notebook can contain APL expressions and their results – and the expressions can be edited and re-executed by the reader on demand. The expressions can either return textual output which is incorporated into the document, or HTML including SVG graphics – for example, output from SharpPlot or any tool that can produce HTML output. Happy New Year – and Welcome to the 6th week of Dyalog ’18 video releases! If you enjoy geometry, 2019 starts with a couple of real treats; one which builds up to the use of complex numbers just before the end, and another which starts with them and moves on to Quaternions. Alternatively, if you think vectors and matrices containing imaginary numbers are a bit esoteric, what could be more “down to earth” than taking a look at various ways to efficiently extract data from Excel spreadsheets? Finally, we have a talk on a Theory of Everything, which will obviously interest everyone! Returning to the maths: Nic Delcros asks a seemingly trivial question about the number of dimensions of a vector. 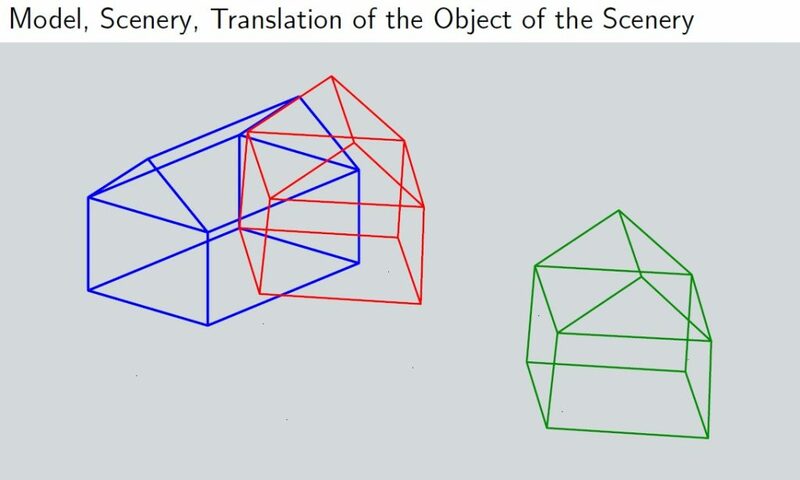 As any APLer knows, a vector is a list of numbers and, therefore, has 1 dimension, but of course the numbers in a vector nearly always represent a structure of higher dimensionality. Nic takes us on an entertaining exploration of the case where the numbers represent a dynamic event, where one of the dimensions is time – punctuated with beautiful images. Dieter Kilsch from the University of Applied Sciences (Technische Hochschule) in Bingen obviously enjoys teaching mathematics! In this talk, he actually managed to make me think that I had some insight into why the Irish mathematician William Hamilton invented the Hamiltonian number system (which is populated by Quaternions), and how it allows us to do algebra on points in a 3-dimensional space, similar to the way complex numbers work for 2 dimensions. For example, Quaternions can be used as a tool of thought and computation for image recognition! 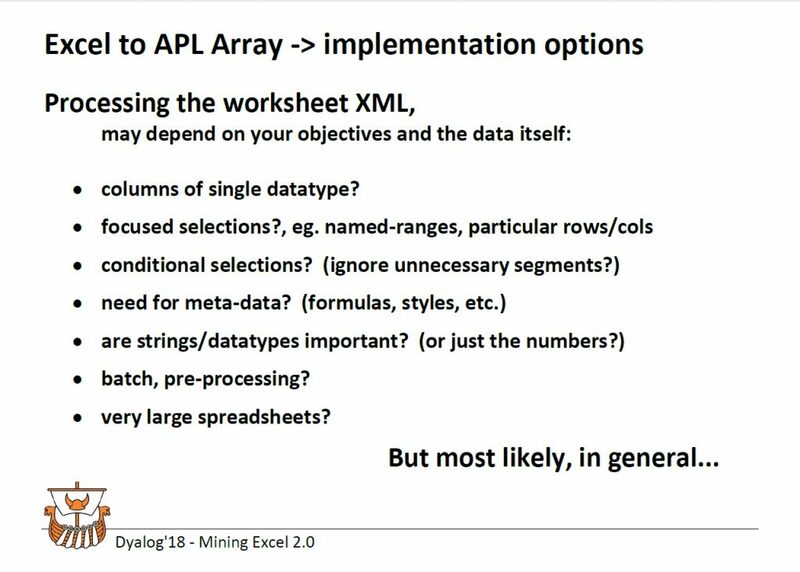 Returning to the very real world, Richard Procter is back with an updated talk on “Excel Mining”, following on from his talk at Dyalog ’15 in Sicily. Like many of us, he frequently needs to load data which originates in Microsoft Excel into APL for processing – and sometimes write back to Excel. Richard has tried a variety of different techniques and provides a list of questions that might decide which technique to use in a given scenario (and performance measurements as well). It should be no big surprise that John Daintree’s big TOE is not something he needs to take a shoe off to demonstrate. Rather, the Theory Of Everything is a unifying idea that might one day replace a large number of system functions, “root methods” and I-Beams which currently allow programmers to ask questions about the Universe that they are running in. The result will hopefully be a system that is more powerful, but simpler and much more self-documenting than the collection of tools that it would replace. We are releasing four talks this week from Dyalog ’18 in Belfast. Three of them focus on techniques for deploying APL applications across all the platforms supported by Dyalog APL, in particular Microsoft Windows, Apple macOS, and GNU Linux on x64 platforms (many tools will also work under IBM AIX and on the Raspberry Pi). If that isn’t your sort of thing, we invite you to relax with Dr. Charles Brenner’s entertaining talk on The Manly Chromosome – How Simplicity can be Confusing. Charles is a “purveyor of forensic mathematics”; he participates in CSI (Crime Scene Investigation) using mathematics. When he actually needs to compute a number for a court case, he often does it in APL (did you know how useful ×.! is?). Although the underlying subject is a serious matter – the mis-interpretation of DNA data related to the Y Chromosome in criminal cases – the talk is full of humour, although you will need to concentrate as some of jokes are rather understated! Returning to the theme of the week, my own second presentation follows on from my opening keynote. In the keynote, I whizzed through a flurry of scenarios in which a new user of APL was able to run, edit and debug APL code under Linux without actually installing APL, and then deploy the code as a Web Service using JSONServer, and finally as a Web Application using MiServer. The keynote intentionally did not explain much about the technology. In this week’s talk, entitled Cloud Computing, I reveal some of the details of how the smoke was generated and the mirrors were polished for the opening talk. As mentioned, Dyalog APL is available on a variety of platforms. Our goal is to allow you to freely select a platform for development, and independently select a platform for deployment. For example, you might develop and test the application under Windows or macOS, and deploy it to the cloud under Linux. If your application has a user interface, you may be interested in Brian Becker’s talk on Cross Platform User Interfaces, where he presents a project with the internal code name “DUI” (Dyalog User Interface). We’ve been working on DUI for several years as a component of our Web Server framework MiServer. Brian demonstrates the results of this endeavour: the new HTMLRenderer, which embeds the Google Chrome Browser Engine (known as Chromium) inside Dyalog APL for Windows, macOS and Linux. The same code can now be used for MiServer and HTMLRenderer, allowing it to drive UI without a Web Server using the same principles as Node JS. If your application is – or can expose – an engine without a user interface, one of the options for deployment is to run it as a Web Service. This makes it callable from anywhere that can connect to it via a network, for example using the JSONServer as demonstrated in my opening keynote. Marko Vranic’s talk on Severless APL demonstrates the latest fashion in deployment technology, where individual functions – rather than applications – can be deployed to the cloud (or a collection of internal servers). Obviously, the name is a little misleading since the functions do run on servers. The point is that you do not need to define a new server or even a container for your application; once the Kubeless environment is set up, developers can continuously deploy new or modified functions into the “serverless” framework from the command line. The framework takes care of encryption of network traffic, allows you to control access to your functions, and lets you manage scaling and load balancing. This talk probably contains a bit more technology and more moving parts than many APL users will be comfortable with, but the important point that Marko makes is that we have all the pieces required to use APL in scenarios where extreme security and scalability are a requirement. This week is mostly a deep dive into the new world of storing source code in text files rather than workspaces and other “binary” formats. However, in case that is not your cup of tea yet, we can offer you another talk by Marshall Lochbaum, who presents more amazing algorithms to make the very widely used primitive search functions ∊, ⍳ and ⍸ run faster than ever before. 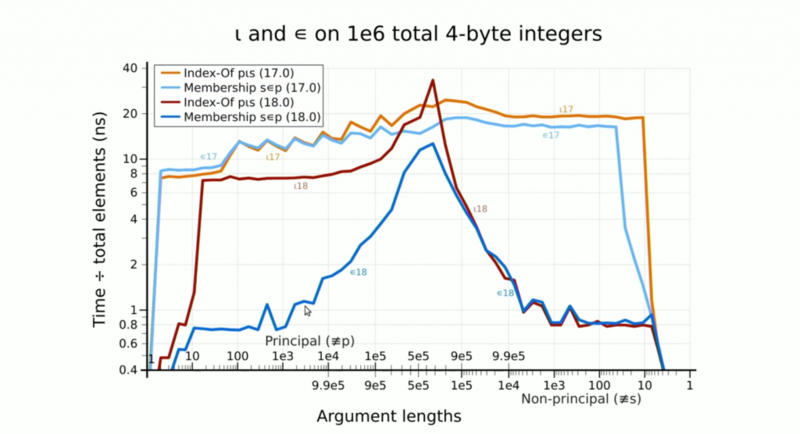 By combining non-branching algorithms with vector instructions and a technique known as Robin Hood Hashing, Marshall is able to drive a modern CPU close to the theoretical maximum throughput, and in many cases spend less than one nanosecond searching for each item of an array. Source code in text files is the dominant theme, and we are fortunate enough to have three pioneers to show us the way: Paul Mansour, Gilgamesh Athoraya and Kai Jaeger. Paul has been working on – and using – source code management systems for decades. Recently, his team have implemented a lightweight version of the Acre project management system, named Acre Desktop, based entirely on textual source files. 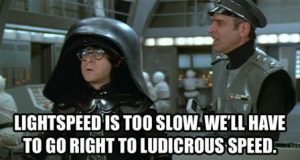 Apart from having to start your day by ]Open-ing a project, rather than by )LOAD-ing a workspace, there are very few changes to how you would actually use APL – but now you have access to a huge collection of professional tools developed for programmers using other programming languages, such as GitHub. 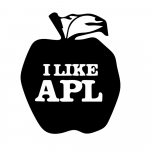 One of the very significant advantages of the APL community starting to use common structures for source code – and projects – is that it becomes realistic to share tools and utilities. 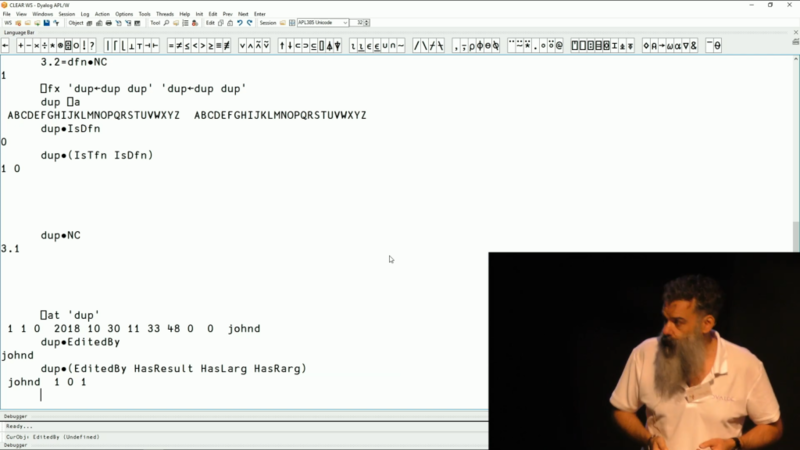 Following on from Paul’s talk, Gilgamesh Athoraya demonstrates a prototype of an APL Package Manager (APM). The APM connects to a repository of packages written in APL and allows you to declare package depenedencies from a public or private repository. It also keeps tabs on the availability of new versions of dependencies, and allows you to easily update them when the time is right. A package manager can only be successful if there are packages to be managed. Kai Jaeger has been an APL Toolsmith for a very long time, and made much of his work available via the APLTree. Now, Kai has transferred the contents of the APLTree to GitHub, making everything available as textual source. With a bit of luck, once the APM finds its legs, we’ll all be able to use Acre Desktop to define projects, Git[Hub/Lab] to manage the source, and APM to search for Kai’s tools and manage our dependencies on them!